Mother and daughter duo combining upholstery, stitch and mark-making to create textile and jewellery pieces inspired by the natural world. 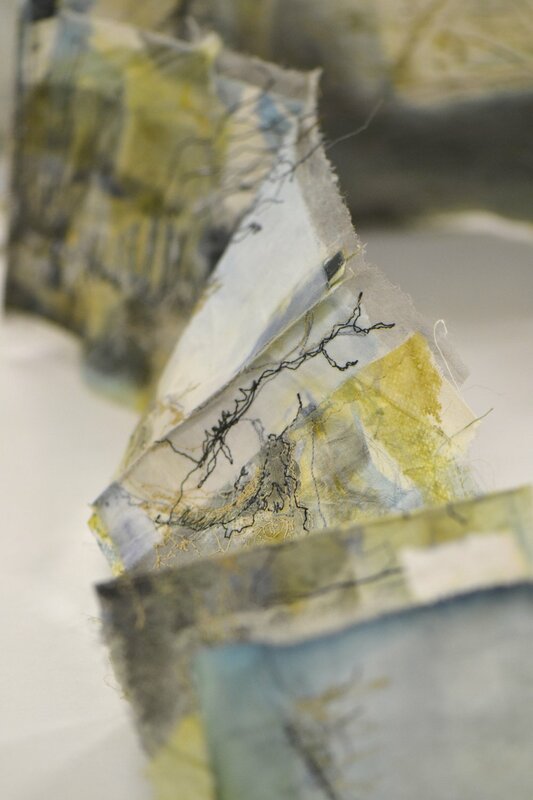 I experiment with layering and transparency in my textile work, cutting away to reveal hidden marks. I am inspired by the beauty in the natural world and my own life experiences.